Aussies are choosing to holiday in their own backyard and are spending record amounts, according to the latest National Visitor Survey. The results show visitor spending by Australians soared to a record $67.5 billion, an increase of eight per cent and Australians took a record 100.3 million domestic overnight trips during the year ending June 2018, an increase of seven per cent. Minister for Trade, Tourism and Investment said this was the first time the number of overnight trips taken by Australians at home had reached the 100 million mark. “This is an impressive result for our tourism industry with more Aussies holidaying at home and for longer, whilst also spending record amounts,” Minister Birmingham said. “More Aussies holidaying in our own backyard teamed with record spending is a great boost for Australian businesses and helps contribute to a stronger economy. “With 1 in 13 Australians already employed in the tourism industry, these strong results will only help to create more jobs for Australians. “These results are on the back of recent strong international tourist figures which showed overseas travellers spent a record $42.3 billion for the year ending March 2018. Minister Birmingham also said more Australians were turning to nature and the great outdoors for their holidays. “Trips that included bushwalking increased 14 per cent to 12.4 million. Visits to national or state parks were up 12 per cent to 11.8 million, while visits to the beach were up 5 per cent to 23.8 million,” Minister Birmingham said. “Our natural beauty is one of our greatest assets and it’s great to see Australians are fully taking advantage of the natural diversity our country has to offer. 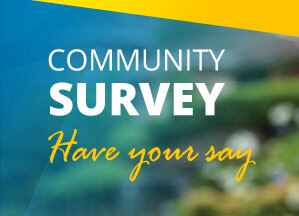 The National Visitor Survey results are available from www.tra.gov.au.